Should Australia follow Argentina and introduce a National Regime for Distributed Generation? Home › AU Energy Compliance › Should Australia follow Argentina and introduce a National Regime for Distributed Generation? One year ago, I arrived in Buenos Aires for the first time. Heading to a salsa club in the fashionable Palermo Soho district, my partner and I discovered that not only the club, but the entire city block, was pitch black. Chatting with fellow salseros in the dark we were informed that, yes, this kind of power outage was normal and no, power would not be restored any time soon. Power outages both planned and unplanned are not uncommon in Buenos Aires. In February of this year, a power outage on one of the hottest days of the year left around 370,000 people in the city without power. Of course, unplanned outages and load shedding happen in Australia too. As in Argentina, the catalyst for outages tends to be heat wave events where residential consumption soars. In today’s article, I look at how Argentina’s new distributed generation regime (the Regime) is intended to strengthen reliability and security in the grid and how this compares with the Australian policy settings for distributed (or ‘embedded’ generation). • Extreme temperature variation across seasons, including heat waves in summer. As mentioned earlier, the last similarity is the catalyst for power outages in both countries. However, the underlying cause of outages in both countries are distinct. 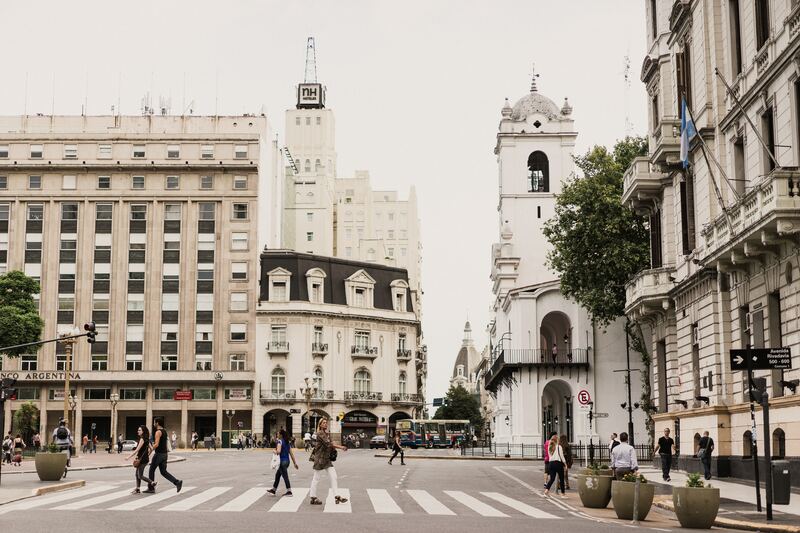 In Argentina, the outages are caused by heavily degraded network infrastructure, including low-voltage wiring and transformers. The network infrastructure fails when consumption is high. By contrast, in Australia, a key contributor to outages has been the proliferation of non-dispatchable renewables such as wind and solar and a technical limit on importing dispatchable generation from adjacent states via interconnectors. Like Australia, Argentina struggles with the same question that guided the Finkel Review; how does any nation in the 21st century balance a secure and reliable energy system with one that is affordable and meets emissions targets? The Australian Commonwealth Government’s response is the National Energy Guarantee (the NEG) with its ‘reliability’ and ‘emissions’ obligations. However other important initiatives that are part of the Government’s response are distributed/embedded generation and demand response initiatives. Distributed generation is electricity generation by many separate electricity users at their point of consumption (such as through rooftop solar photovoltaic (PV) or an in-house diesel generator). Argentina has not developed a market-based response (such as the NEG) to the ‘Finkel question’. With respect to reducing emissions, the Federal Government has set a renewable energy target of 20 per cent renewables by 2025, which is supported by ‘RenovAr’, a series of public bidding rounds for renewable investment with long-term Power Purchase Agreements (PPA). Through this, the Argentine Government expects US $15 billion of renewable investment. What about dealing with power outages? The Australian example has shown that, unless other measures are taken, investment in renewables can be negatively correlated with system security and reliability. As a part-solution, as well as an attempt to increase renewable generation, in November last year, the National Congress passed a law titled the Promotion Regime for Distributed Generation of Renewable Energy Integrated in the Public Electricity Grid (the Regime). This is designed to increase the use of solar PV in dwellings and hence reduce the load drawn from the grid during extreme weather events. • an obligation to incorporate distributed generation systems in national public buildings. Regulations setting out the operational details of the Regime are under development and should be released shortly. We discussed some core elements of the Australian approach to distributed or ‘embedded’ generation at https://www.compliancequarter.com.au/is-embedded-generation-right-for-your-business-three-questions-to-ask/. What are the key differences between the Regime and the Australian approach? • The Regime legislates nationally for distributed generation to be settled by net-metering. That is, the customer’s electricity consumption bill will be discounted by the amount produced and fed into the grid. While Australian jurisdictions have moved to a net (rather than ‘gross’) metering regime in recent years, some argue that this disincentivises solar investment. In particular, this may be an insufficient financial benefit to encourage battery storage of solar. In Australia, at least the tariff structure can be varied by states and territories depending on their success. On the one hand, a nationally uniform approach to distributed generation, such as Argentina’s, may be beneficial in publicising, simplifying and clarifying for everyone the rules for distributed generation and solar PV. The Australian approach with considerable differences in rules between states and distribution network areas can be confusing and result in some states/territories (with the more supportive distributive generation arrangements) carrying a disproportionate burden. On the other hand, whether or not distributive generation will be successful in reducing the burden on network infrastructure ultimately depends on the economics of that investment. Currently, the prohibitive cost of solar PV equipment in Argentina, and lack of clarity around subsidies means that a substantially increased uptake in distributed generation is some way off. It is usually claimed that this network under-investment is a result of utility price freezes by successive Governments meaning that distributors have had insufficient funding to upgrade the network for population growth. For more, see http://americasquarterly.org/content/argentina-invests-in-power-grid-after-blackouts. See Independent Review into the Future Security of the National Electricity Market – Final Report (the ‘Finkel’ Review), p36-40. For more information, see https://www.compliancequarter.com.au/national_energy_guarantee_part_2/. To learn about demand response, see https://www.compliancequarter.com.au/demand-management-incentive-scheme/. For more information see https://www.pwc.com.ar/es/publicaciones/assets/renovar2-i.pdf. As a result of high import duties, and lack of local manufacturing, it is estimated it would take 12-13 years for a customer to recover their solar PV investment. See http://www.ipsnews.net/2018/02/citizen-generated-energy-enters-scene-argentina/.